This edition of MRM’s Daily Bite includes news from Toast, Ritual, Tripleseat and Bizly, B.GOOD, FarmLogix and Aramark, Inkling Systems, Inc., GS1 US, Simple, delivery.com and foodjunky and Bonefish Grill. 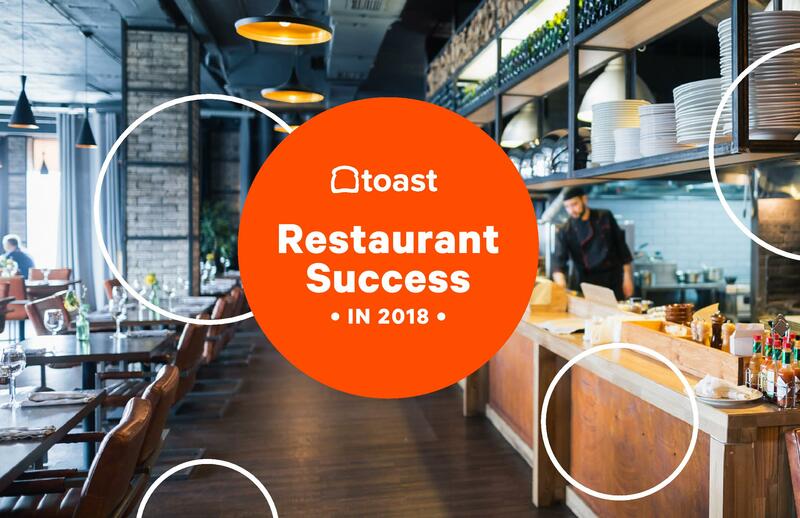 Nearly 60 percent of restaurateurs indicate that hiring, training and retaining staff are among the top areas of opportunity for the industry, according to a survey unveiled by Toast. 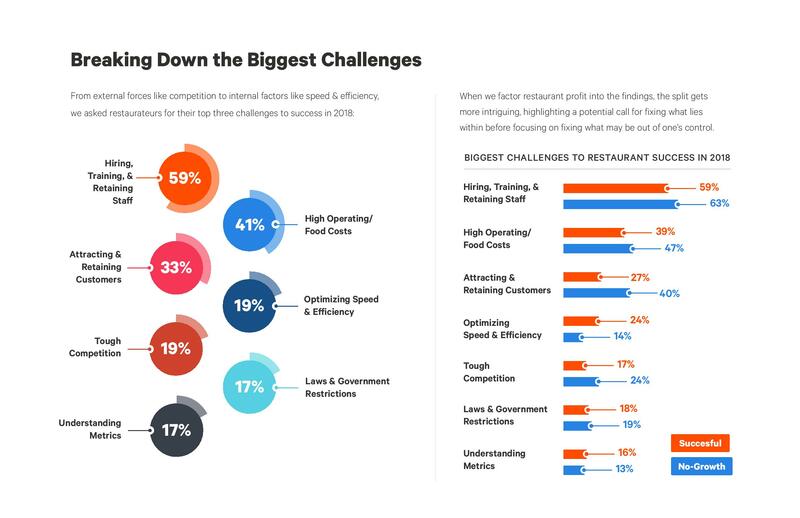 The “Restaurant Success in 2018” Industry Report results also suggest optimizing speed and efficiency, as well as attracting and retaining customers, are the second and third most crucial challenges, respectively, for restaurateurs in 2018. For the survey, 844 restaurant owners, managers, and leaders completed the 2018 Restaurant Success Survey in March and April of 2018. 54 percent of respondents were from casual FSRs, while 21 percent represented a QSR, 14 percent represented a fine dining FSR, seven percent represented a bakery, and four percent represented a bar or nightclub. Oder ahead app Ritual announced year over year growth to more than 44,500 workplace teams added and 2x growth of restaurant partners, in addition to expansion into four new cities and the closing of a $70 million Series C.
Ritual’s rapid growth is largely driven by workplace teams adopting its social ordering and delivery feature Piggyback. Upon signing up for Ritual, Piggyback connects users with teams based on workplace and location, creating a dynamic social element to ordering and picking up lunch, which is often an otherwise individual experience. Today, more than 44,500 teams across companies like Goldman Sachs, Oath, Spotify and SpotHero have formed on Ritual. More than 50 percent of all orders placed by team members are open to others to join. Team members who often had lunch individually are now sharing lunch time, driving company camaraderie and team unity. Order ahead food technology: Ritual provides restaurants with turnkey mobile ordering technology, which gives consumers a convenient solution to discover, order and pick up their meals — specifically during lunchtime. With 3,000 restaurants across ten markets, teams have access to pick-up from local eateries or national chains via a single mobile app. Social ordering and delivery via Piggyback: Using Ritual’s social ordering and delivery feature, Piggyback, teams can connect and collaborate on lunch orders and pick-up lunch for busy teammates. Restaurants are able to leverage existing customers to effectively act as delivery persons for these orders. Restaurants on Ritual’s platform experience repeat customer visits and size orders increase up to 4x due to social features, ease of use and transparent pricing structure. Actionable data for smoother lunch rush: Ritual provides real-time data on store experience, food quality and customer satisfaction metrics so operators can run a better business, which leaves consumers with a smooth ordering and pick-up experience to maximize their lunch breaks. In addition to providing metrics on their own business, Ritual can help operators benchmark metrics to similar businesses to help operators understand where they are doing better or worse. With actionable insights, operators can often double Customer Satisfaction Score (CSAT) metrics to keep more customers coming back. 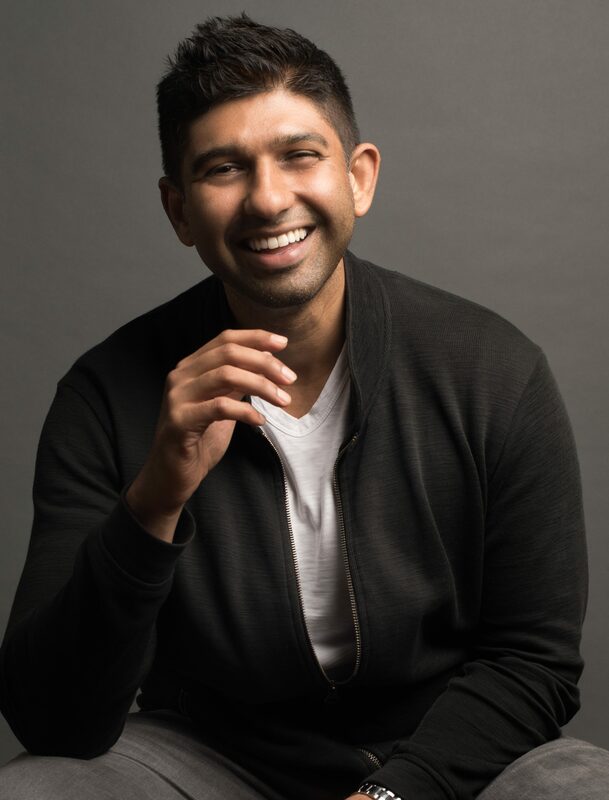 To support the rapid growth, Ritual closed a $70 million Series C round led by Georgian Partners with participation from existing investors Greylock Partners, Insight Ventures, Mistral Venture Partners. In 2017, Ritual added Tishman Speyer, the leading owner, developer, and manager of premier commercial real estate in top cities around the world, as a Series B strategic investor. Tishman Speyer is scaling Ritual through its global properties, and will help the company continue its strong growth among real estate investors and property managers. Ritual is currently available online and via iOS and Android apps in major metro markets, including Boston, Chicago, Houston, Los Angeles, Minneapolis, New York, San Francisco, Santa Monica, Washington, D.C., and its hometown of Toronto. Focused on densely-populated metros, Ritual plans to expand its offering to Atlanta, Dallas, Philadelphia and San Diego in the coming months. Tripleseat and Bizly have partnered to provide corporate planners direct access to leading restaurants, hospitality venues and hotels with private dining. Through this partnership, Tripleseat restaurants and unique venues will be listed on Bizly for events and meetings. When a Bizly customer inquires about an event at one of the Tripleseat customers venues, the Tripleseat venue will automatically receive the lead via the Bizly corporate portal. Through this partnership, Bizly can expand private dining options for corporate event planners and give Tripleseat venues access to their Fortune 500 corporate event planners. Bizly’s innovative platform allows companies to easily and efficiently select venues and book events while abiding by their company’s pre-set spending limits, compliance rules, and negotiated rates. Bizly’s concierge support leverages the personal attention and negotiation power of a traditional meeting agency without the excessive price tag and lag time around small meetings. B.GOOD appointed Chris Fuqua as the company’s new Chief Executive Officer. He assumes day-to-day leadership of the company following more than eight years at Dunkin’Brands, where he served in a variety of leadership roles including Marketing, Operations, Supply Chain and Strategy. 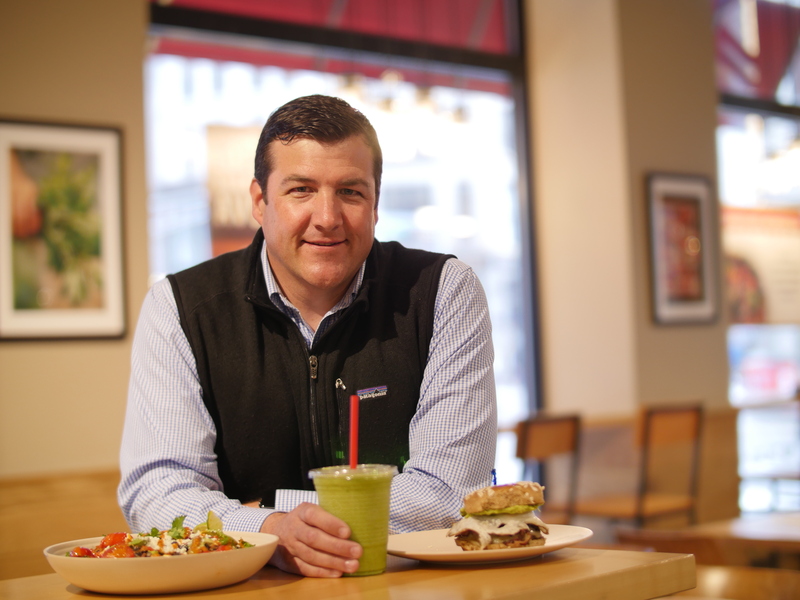 After 15 years, B.GOOD’s co-founder Anthony Ackil has decided to step down as CEO to focus on his next entrepreneurial venture and the next chapter in his life and career and to spend time with his young family. He will maintain a large position with the company as a member of its Board of Directors and as a continued investor. 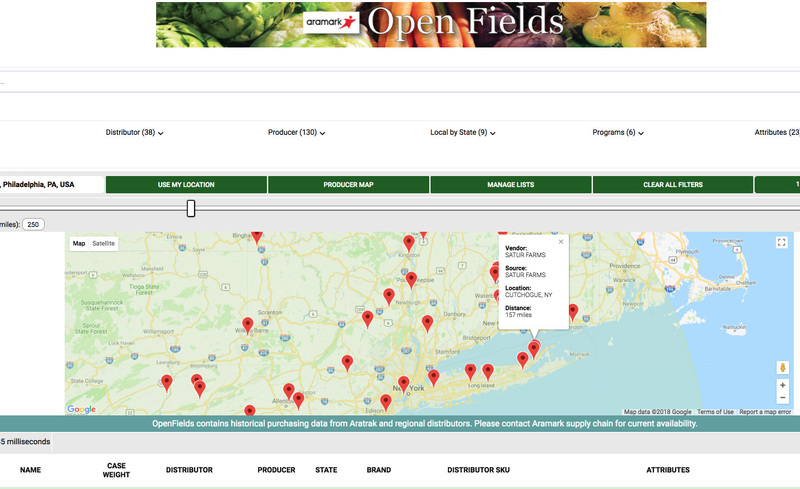 FarmLogix launched Open Fields, a software platform that allows food service operations at colleges, schools, hospitals, sports and leisure facilities and businesses of all kinds to more easily source and report on sustainable ingredients and purchases. Aramark is the first partner to deploy Open Fields, having signed an exclusive agreement with FarmLogix through 2019 to utilize the ground-breaking platform. Open Fields enables institutions to search, save and build programs based on custom definitions and purchasing needs. 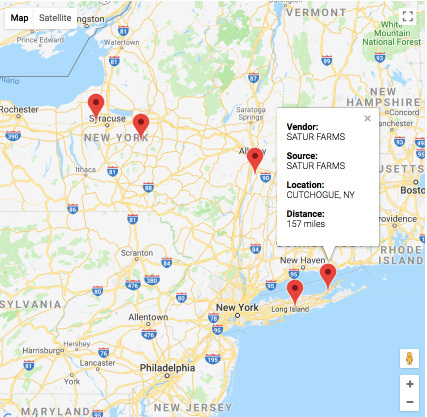 Convenient dashboards allow users to run custom analytics, while national entities such as Aramark, can run metrics on their own sustainability initiatives by location, product, spend, attribute, farm/vendor, miles to location and distributor. It is also the industry’s first reporting and analytics engine that allows onsite managers to generate reports on sustainable purchases at their individual client locations. 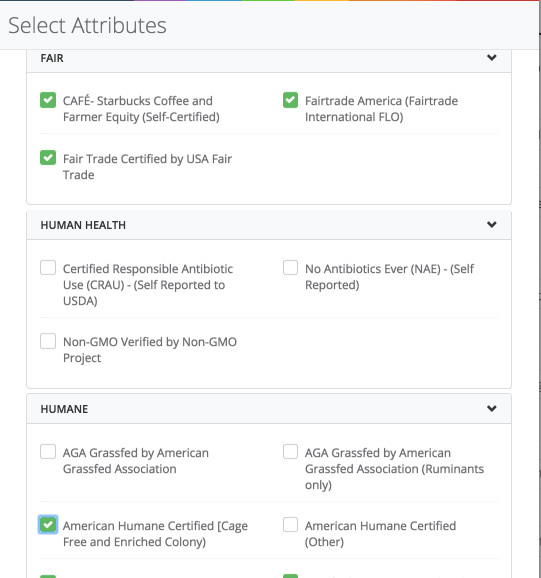 Aramark is using the tool to track sustainable attributes such as: Seafood Watch® Best Choice or Good Alternative, Fair Trade USA certified, USDA Organic and more. The platform provides the ability to search and report on locally sourced products and purchasing by unique customer definition, such as mile radius, state or state agricultural marketing programs. A major US university partner supports 15 local farms with access to detail on product, spend and distance from each farm to campus. Aramark has partnered with FarmLogix since 2012. The company will utilize Open Fields to design and customize programs that meet the company’s industry-leading sustainability and health and wellness commitments. Inkling Systems, Inc. enhanced its Inkling Knowledge platform with the addition of advanced analytics capabilities built on Tableau. New features include a pre-configured dashboard offering real-time data visualization and hourly automated updates, allowing businesses to more accurately assess content effectiveness and engagement company-wide for more informed decision making. Inkling Knowledge is a modern content system that helps businesses train new hire employees, digitize standard operating procedures, and efficiently launch products in segments like restaurants, retail, field service, financial services, health, and insurance. Built on Tableau’s data visualization software, the new analytics platform helps Inkling users simplify different views of data for richer insights. Out-of-the-box, pre-configured dashboard: No need for complex integration. Real-time insights: Dashboards automatically update every hour to ensure customers are viewing accurate and useful information. Data visualization with Tableau: See and understand data quickly using easy-to-create dashboards that are meaningful to the business. Platform usage: Learn how and when the organization is accessing content and on which devices. Content effectiveness: Understand which documents are performing better and which content needs to be improved. GS1 US® recognized three companies with GS1 US Excellence Awards for their achievements in implementing GS1 Standards: Independent Purchasing Cooperative (IPC)/Subway, Mercy and Crane USA, Inc. Additionally, Ben Shanley, senior vice president of national foodservice operations, Coca-Cola North America was honored with The Roger Milliken Career Achievement Award. The Innovation Award honors a company for their transformative use of the GS1 System of Standards to deliver an enhanced experience for businesses and customers. IPC/Subway, one of the first foodservice operators to initiate an automated inventory management and traceability program, leverages GS1 Standards to alert restaurants of product withdrawals, provide real-time inventory checks and improve the quality of their product information, yielding significant cost avoidance in truckload optimization and material handling throughout the supply chain. The Operational Excellence Award recognizes a company that successfully applied GS1 Standards to improve business processes, operations, industry collaboration and/or the consumer experience. Mercy took a holistic approach to implementing GS1 Standards for improved inventory management, identification of a product expiry or recall, and accurate charge capture for surgical procedures, which ultimately helped Mercy improve patient care while also increasing efficiency. The Small Business Excellence Award highlights GS1 Standards implementation from a small company, and demonstrates how standards helped drive their businesses forward. Crane USA worked with their partner, DiCentral, to evolve their use of Electronic Data Interchange (EDI) standards from source to sale for a fully integrated supply chain and a more robust e-commerce platform. Intelligently presenting the same or similar items with different names, such as “farm-raised tilapia” and “tilapia, farm raised”—eliminating the need for buyers to search for comparable products. Automatically calculating the price per the exact same unit size, so managers and chefs can make apples-to-apples comparisons. Displaying information about the quantity required to get a quoted price, so operators can make smart decisions about whether a deal makes sense for their restaurant. Simple was launched in 2017 to bring down the traditional barriers between restaurant operators and the range of sellers they rely on—from distributors and suppliers to local farmers and gourmet food producers. Today, nearly 4,000 businesses rely on Simple to more efficiently buy and sell restaurant goods. For restaurants, the Simple marketplace provides Amazon-like simplicity with a single shopping cart; simplified price-checking process; one-click ordering for food, beer, wine, liquor and supplies; and a dashboard with real-time spending visibility. As a result, restaurant managers and chefs can save 20-plus hours each month and tens of thousands of dollars a year—at no cost for using the Simple marketplace. For distributors and other sellers, Simple delivers a digital platform to grow existing accounts and connect instantly with restaurant operators seeking new suppliers. Using Simple, sellers can open a digital storefront to promote their products to restaurants 24×7, find hot sales leads, and send quotes to existing customers or prospects in minutes. As a result, sellers can spend less time driving and more time selling, increase sales through better reach to new and existing customers, and grow their business with data only available on the Simple platform. delivery.com is expanding its corporate food ordering customer and merchant base with the acquisition of foodjunky’s business operations, an early innovator in the corporate and group ordering space. foodjunky customers will have an easy transition to delivery.com Office, delivery.com’s robust offering for businesses, which will allow foodjunky’s existing corporate clients and customers to place large and small group orders directly on the delivery.com platform. delivery.com currently serves over two million customers and a growing roster of corporate clients who order from over 12,000 merchants every day. The fresh fish experts at Bonefish Grill are joining The Nature Conservancy, top photo by Carlton Ward for The Nature Conservancy, to increase awareness about the importance of protecting coral reefs and to help the nonprofit restore one million corals by 2025. The Conservancy is a 501(c)(3) nonprofit organization committed to conserving the lands and waters on which all life depends. This year marks the International Year of the Reef, a worldwide initiative to create a better understanding of the significance of coral reefs. Coral reefs are one of the most threatened marine systems, and scientists estimate that unless we take immediate action the world could lose up to 70 percent of coral reefs by 2050. Bonefish Grill is taking action by supporting the Conservancy’s Plant a Million Corals Initiative. The initiative seeks to restore more than one million corals across Florida and the Caribbean and share restoration and conservation practices with local communities. During a series of Celebration Nights – launching June 5-11 at Bonefish Grill locations nationwide – Bonefish Grill guests can enjoy a coral reef-inspired cocktail, designed to increase awareness of the Conservancy’s coral reef restoration efforts. 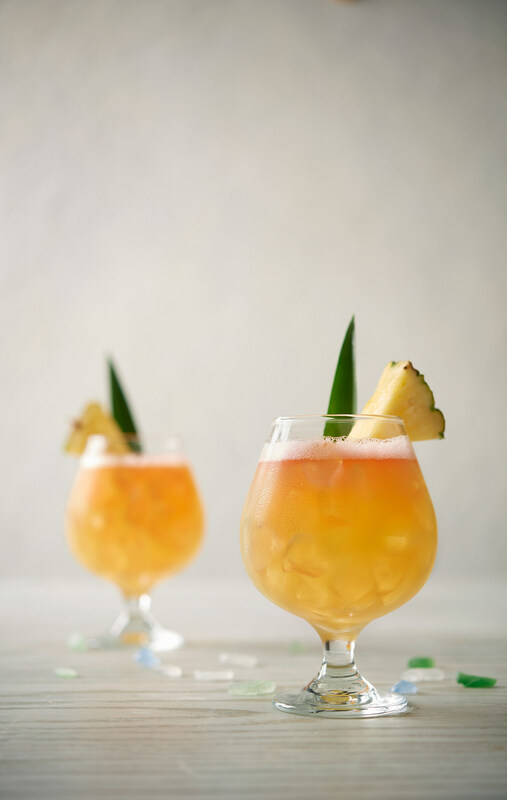 A handcrafted Coral Reef Punch inspired by the tropics includes a mix of rum, coconut rum, passion fruit flavors, house-made vanilla bean simple syrup, fresh-squeezed orange and pineapple juice. The largest living structures on the planet, coral reefs are home to 25 percent of all marine species and provide critical resources. In addition to food, coral reefs provide: a means for income that sustains 500 million people, protection from storms as they break wave energy, ingredients for medicines, and incredible places to play and learn. However, over the last 30 years, ocean acidification, increased temperatures, overfishing and unplanned coastal development have caused coral cover in the Caribbean and Florida to decline by 50 to 80 percent. To learn more about The Nature Conservancy’s important work and find out how to get involved in supporting the nonprofit’s initiatives, click here.